Based out of North Carolina but well-known throughout the national electronic rock scene, the band Papadosio lends a voice to that area where, according to the band itself, “revolutionary technology meets a revolutionary message.” Having already released four albums since 2007, the band is currently on tour in support of their latest compilation, To End the Illusion of Separation (T.E.T.I.O.S.). 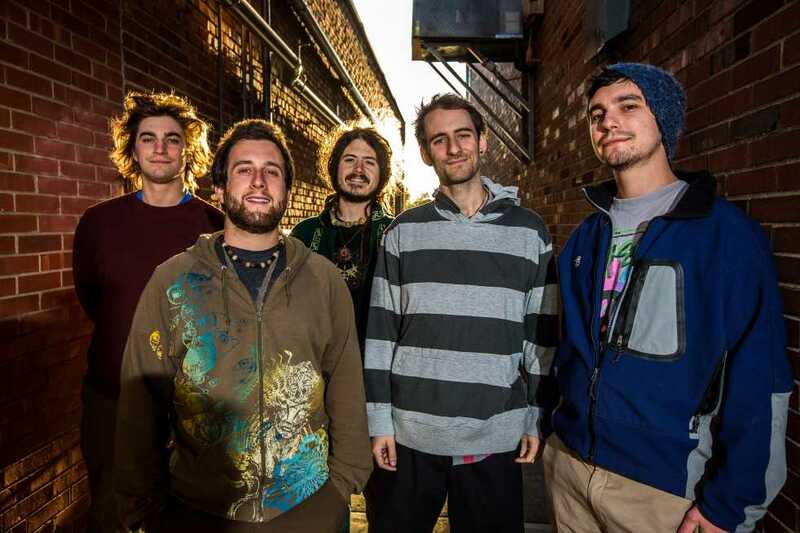 On April 24, that tour will bring them to Terminal West right here in Atlanta; recently, the Technique had the chance to speak with the members of Papadosio in preparation for the show. Which music genre would you put yourselves in? If it was up to me, I’d say we are a dance fusion rock band. Not jazz fusion, just fusion on its own. We take influence from all types of music and put it together in a mostly danceable experience. We get put into IDM and live electronic genres a lot, but I really don’t think those do service to half of our music. Some of our songs have string band-like influences, some others world music and honestly I think the age of music genres is over. It doesn’t serve us as musicians because then we feel like we must do specific things in composition to fit into a certain classification. And as for the music industry, it seems like people are listening to vast varieties of music, and suggesting genre can cause alienation as well as preconceived notions on what to expect from the artist. What was the experience of forming in the city of Athens like? It’s a really vibrant and musical place. You could go see live music happening in different venues simultaneously every night and that’s saying a lot from a town with such a small population. We were really well received and I think it gave us the confidence to really go for it. How does Asheville, NC help you grow as artists? It’s a beautiful, inspiring, high vibrational place. The food is great and the people are even better. It also happens to be in the geographical middle of the east coast for a touring band. Some might call it the middle-east. What can fans expect at your concert? Our live show consists of the band, an intelligent light show operated by Daniel Huidt, a video show with a full LED wall operated by Jason Takahashi and sound by Beau Williams. So every aspect of the show is operated by a human, onstage and off. We have a huge repertoire of songs and we do a lot of improvisation. The setlist is completely different every show and we all work together to produce a new spectacle every night. What was the process like in creating T.E.T.I.O.S.? We had a LOT of music stored up because we couldn’t record because of our rigorous touring schedule back then. So we slowly but surely picked away at recording whenever we could get some tracking in. We record in our own home-built studio, so there is no pressure to finish quickly and we had the freedom then to cut songs, add new ones, retrack things we thought we lacking and really take our time to create something we could be massively proud of. What are your future goals for Papadosio? We want to continue to explore the diversification of our song writing and instrumentation. There’s been some talk of getting much more into video. So there will be more music videos as well as maybe a feature someday.